Engineers from Harvard University is revolutionizing printing with a new technique that involved sound waves to control droplets of high-viscous liquids. The new technology, according to the study, can enable the manufacturing of new biopharmaceuticals and bioprinting, which often use biopolymer and cell-laden solutions that are at least 100 times thicker than water. “By harnessing acoustic forces, we have created a new technology that enables myriad materials to be printed in a drop-on-demand manner,” explained Jennifer Lewis, senior author and a professor of Biologically Inspired Engineering at Harvard. Acoustic levitation, as the name suggests, uses sound in order to defy gravity and suspend a solid or liquid up in the air. However, in this study, researchers are using the same sound waves concurrent with the planet’s natural gravitational force in order to print using liquids that are often thicker than the regular ink. The technique is called acoustophoretic printing, which involves a subwavelength acoustic resonator to create a “highly confined acoustic field resulting in a pulling force exceeding 100 times the normal gravitation forces” to the printer’s nozzle. While eventually any form of liquid, no matter how thick, will drip because of gravity, some might take a lot of time to move because of its viscosity. For example, pitch has a viscosity of around 200 billion times than water and will form a single drop within one decade. In comparison, a regular ink used by inkjet printers, the most commonly used printers around, is 10 times more viscous than water. The printing technique works by pulling the liquid until it creates a droplet that will be ejected from the nozzle to whatever canvas is being used. 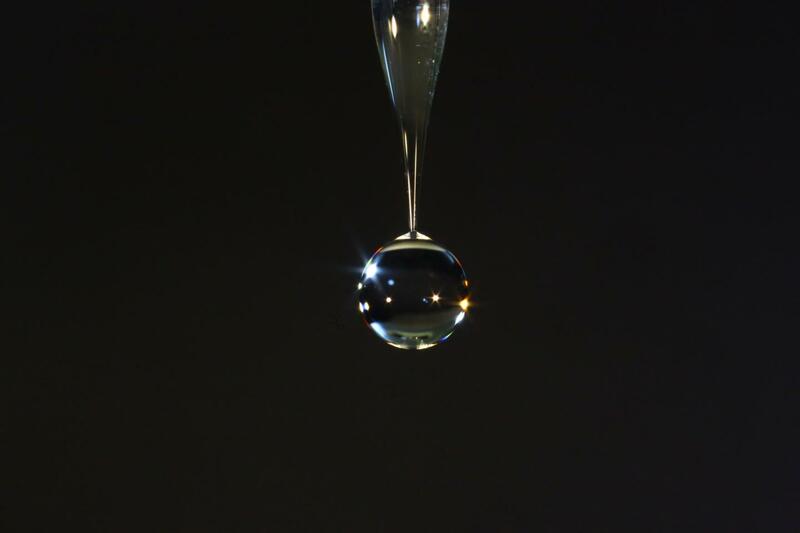 The higher the amplitude of sound waves, the smaller the droplet is generated. “The idea is to generate an acoustic field that literally detaches tiny droplets from the nozzle, much like picking apples from a tree,” added Daniele Foresti, author of the study and research associate at the Wyss Institute. The researchers have already tested the new technique using high-viscous liquids such as honey (which is 25,000 times more viscous than water), stem-cell inks, optical resins, and liquid metals. They hope that the technology will enable the manufacturing of new biopharmaceuticals, cosmetics, and foods. Lewis imagines that acoustophoretic printing will directly impact the pharmaceutical industry, especially companies looking to control bio-inks like stem cells. The study was published in full in the journal Science Advances. Are you amazed by this new technology? Leave your comments below.